Delhi-110001. Pages: 280 Price: (Hard Cover) Rs. 745. Celebrated historian and popular columnist Khushwant Singh categorizes the Sikh religion as a 'synthesis of Hinduism and Islam'. According to the ENCYCLO­PEDIA BRITANNICA: Book of the Year (2008) the world population of Sikhs is 22.927 Million, mainly concentrated in Punjab (India), Thailand, Malaysia and Singapore, with significant presence in North America (630,000) and European Union, inclusive of UK (478,000). However, what gives the Sikhs preeminence out to proportion with their numbers (and minority status in India) is their larger than life presence. This latest work on Sikhism is an exquisitely conceived anthology of a dozen essays by some of the most perceptive contemporary sociologists and historians - Western as well as Indian, the outcome of a University of California seminar. Contributors are among the best known living scholars of Philosophy and Comparative Religious Studies and Sociology. Consequently, the reader of this anthology has the advantage of starting any one essay, and going back and forth, according to his (or her) choice. Within its covers, women scholars rub shoulders with men; European and American analysts share space with writers of India origin. The 'cocktail' therefore impart refreshing elan to the volume. This is, besides, a welcome contribu­tion to a study of the Sikh philosophy and faith that has, more often than not, been inadequately understood and - at times - misunderstood, 'hedged in' as it is between Hinduism and Islam, in the context of turbulent history of medieval India, as well as [and, particularly,] the titanic events of the 19th and 20th centuries, right up to the sub continental Partition in 1947. Indian elite class - as well as History scholars - generally dismiss Sikhism as a Pan Hindu 'reformist,' movement, or simply, one more instance of syncretism within the sub-continental context. Few scholars care to or show interest in delving deep into its theology or history. Among exceptions are: the late Dr Hari Ram Gupta (of pre Partition days, in Forman Christian College, Lahore) and Bengal's highly regarded scholar: Prof -Emeritus Himadri Banerjee, of Jadavpur University, as also, Dr (Mrs) Chhanda Chaterjee of Viswa Bharti. It is a joy to find an illuminating research paper (Chapter 9) by Prof. Banerjee on "The Sikhs of Shillong" - whom the community seems to have all but forgotten. 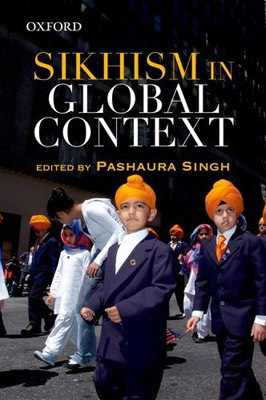 This timely publication, therefore, needs to be pondered - not only by students of History, but also by those who claim to represent Sikhs globally. Major­ty of historians of India remains preoc­cupied with the epochal Mughal dynasty, and tend to bypass- or trivialize - the pro­found impact, at least in Northern India, of Guru Nanak and the nine succeeding Gurus. Significantly,however, the course of Sikh history [ Guru Nanak to Guru Guru Gobind Singh] 1469 to 1708, is co­terminous with the span of Mughal dynasty [1526-1707]. Emperor Akbar briefly visited Goindwal (near Amritsar) - Indeed Akbar the Great, typically gifted the 'Parganas' that the Fourth Guru setup as Chak Ram Das Pur, the present Amritsar. Upon Akbar's demise the tragic irony of the Fifth Guru Arjun was charged wth sheltering Jahangir's rebellious son, Khusro. and. in the summer of 1606, tor­tured to death at Lahore! In a sequel, Jahangjr tried to win over Guru Hargobind, the 6th Guru (1595-1644). Tragically , how­ever, Aurangzeb's zealous policy to con­vert Kashmiri Pandits to Islam brought Ninth Guru Teg Bahadur to Delhi to plead with the Emperor - only to be put to the sword in Chandni Chowk in November 1675 Aurangzeb later travelled to the Deccan to quell Maratha uprising. He died at Aurangabad in 1707 - But not before he had received from Guru Gobind Singh a letter of protest in FARSI, captioned ZAFARNAMA symbolizing the Guru's moral victory! of unsociability and caste-based APARTHIED! More interesting (and topical) for the lay reader is Paul Wallace's essay on " Militancy and Non -Violence" - the latter aspect in the context of the struggle ("MORCHA") for liberation of historical Sikh shrines, and the frenetic struggle for 'Punjabi Suba' Movement. The Editor himself, Prof Pashaura Singh, writes a scholarly and insightful essay on CHAUKIES at Darbar Sahib, still in vague, in Neo­classical folk musical style. Our favourite is Susan E Prill's essay on NAAM - "The True Name, and its Miraculous Manifestations [which have been highlighted by The Sikh Review from time to time]. 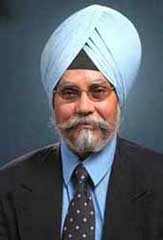 Dr Jasjit Singh Walia of the University of Louisiana, has narrated the "Miracle of Guru Granth Sahib" - in the wake of 'Hurricane KATRINA' - in 2008. Chapter 5 -on the 'KIRTAN TRADITION at DARBAR SAHIB', and Chapter 6 on 'MIRACLES' make a fascinating reading - in terms both of facts as well as interpretation. The Chapter on Diaspora philanthropy discusses the overseas Sikhs' desire to improve - even transform - the Punjab rural scene on an extraordinary scale, a sentiment that derives from Sikhism's DASWAND tradition - of giving away tenth of one's earning for public welfare. In so far as Indian Constitution provided special treatment of Scheduled Castes, there has been a raging dichotomy among *Sikhism's own marginalized groups- Ravidasis, Valmikis and others - a problem analyzed- and amplified in an essay by Opinderjit Kaur Takhar. In another genre is Prof. Himadri Baherjee's essay "The Other Sikhs" living in poverty on the margins of North East. Both these Chapters deserve to be studied in depth - especially by those who control Shiromani Gurdwara Prabandhak Committee in distant Amritsar! The Tenth and Eleventh Essays: "Gurbani Kirtan" and "Home and the world" are in-depth social studies in he traditional Sikh art of Kirtan, or devotional singing of the Scriptural GURUVANI -that transcends space, time and vicissitudes. The concluding essay on Children's literature (and identity) is rightly reflected in the book's jacket - as also in the more recent "SIKH COMICS" series published by Gyan Khand Media of Sangrur, Punjab. Altogether, the Anthology marks a milestone in Sikh Studies World-Wide.